What Is Free National Lotto? At Free National Lotto we offer lottery draws that are completely free to enter. You simply register an account and select your numbers for each draw, and should your numbers come up you will win a share of the prize pot. To check whether you have won you just need to visit to the FNL site and collect if you are the lucky winner of any draw. For the full rules please click here. How Can Free National Lotto Be Free to Enter? FNL is free to enter because we earn our money from advertising revenue, in the same way as you would find at a free newspaper for example. FNL is free to enter, and always will be. How Do I Know It Isn’t A Scam? When Are The Draws At Free National Lotto? Daily Draw – The Daily Draw is drawn at 12:00 every day, with the winning player/s being able to claim up to the following day at 11:59, a minute before the next draw. 5 Ball Draw – The 5 Ball Draw is drawn every Thursday and Sunday evening at 20:00, with player/s being able to claim up to 19:59, a minute before the next draw. Please note that all these times are in UTC. For help finding out draw times where you live please check here or here. What Countries is Free National Lotto Available? 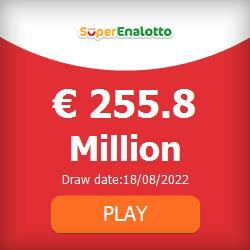 Free National Lotto is available to customers throughout the world. How Do I Select My Numbers Each Draw? All you have to do is select 5 numbers once in your account and it is these numbers that will be used for both the daily draw and the 5 ball draw. What Is The Difference Between The Daily Draw and 5 Ball Draw? Whilst the same 5 numbers you select are used in both the Daily Draw and the 5 Ball Draw, the winning set of numbers for the Daily Draw are only selected from numbers sets entered by customers whereas the winning set of numbers for the 5 Ball Draw are generated but a random number generator which means that the money added for each draw will roll over until it is won. For the full rules please click here. Can I Change My Numbers? Yes, you can change your numbers for each draw in your account, although only numbers selected prior to each draw will be entered. Can Other Users Select The Same Numbers As Me? Yes, different players can have the same sets of numbers, and should those numbers be drawn as winning then the prize pot will be split between the players that successfully claim. How Do I Claim If My Numbers Come Up? To claim the prize from any draw at Free National Lotto all you have to do is go to the site, login, and click on the ‘Collect Prize’ button. When you click this button you are notifying FNL of the win and once verified the prize money will be paid to your PayPal account. What If The ‘Collect’ Button Doesn’t Show In My Account? Assuming you are eligible for the draw and your account is active then the ‘Collect Prize’ button will appear on the site to enable you to claim. If this doesn’t show then it will usually be due to ineligibility. Feel free to contact us on [email protected] if you believe you should have been able to eligible to claim a prize but the button didn’t show. In order to win prizes at FNL you need to be checking your account on a regular basis, otherwise your account will become dormant. Your account is placed into a state of dormancy if you don’t login for 2 weeks. This is to keep things fair for those people that check regularly. Will FNL Ever Ask Me For My Bank Details? No, we will never ask you for your bank details because we pay all winners via PayPal. How Do We Know Your PayPal Details? We don’t! We simply use your email registered in your account to pay the funds to via PayPal. If the email registered with us isn’t the one you use for PayPal please change it in your account (as long as you still have access to this email to receive correspondence). You can register a PayPal account by simply clicking on this link here. How Do I Register A PayPal Account? If you don’t already have a PayPal account but make a winning claim on FNL then we will make a payment using the email address in your account and you will then receive an email from PayPal explaining how to register one and get access to the funds. Unfortunately not, we only allow players to have a single account to make sure that the site stays fair for everyone. Can I Register Accounts For Other People? No, you can’t register an account for anyone else, and if that is found to be the case we will disable the account. Again this is to make sure the site remains fair for everyone, and isn’t open to abuse. What are the Bonus Balls all about? At Free National Lotto we like to reward our users for various things and this comes in the form of Bonus Balls, which will be added to your account, and accrues over time when you visit the site and invite your friends and family to join. Bonus Balls are added daily and are tracked from midnight to midnight each day. You will also be able to add extra Bonus Balls to your account for taking certain offers and promotions on the site, and we will make the amount for each clear in the correspondence. How Do I Withdraw My Bonus Balls? There isn’t currently an option of FNL to withdraw your Bonus Balls balance on its own, but should you win one of the draws they we will add your Bonus Balls amount to the transaction when we transfer the funds to your PayPal account.